There's a whale in Bruno's family bath and no one believes him. Not Ally his sister, not Mum and Dad. And this is no toy whale, either. This is a whopping great real-life whale who's just after some warm water and soap. You see, the ocean doesn't have warm water and it doesn't have soap. And the whale isn't going anywhere until he's scrubbed up. Bruno is beside himself. His parents want him to bathe and he can't till that whale's hightailed ('scuse the pun) it out of there, so what's Bruno to do? This fabulously fun book reminded me of a great childhood love of mine--A Fish out of Water by Helen Palmer (wife to Dr Seuss) and PD Eastman. 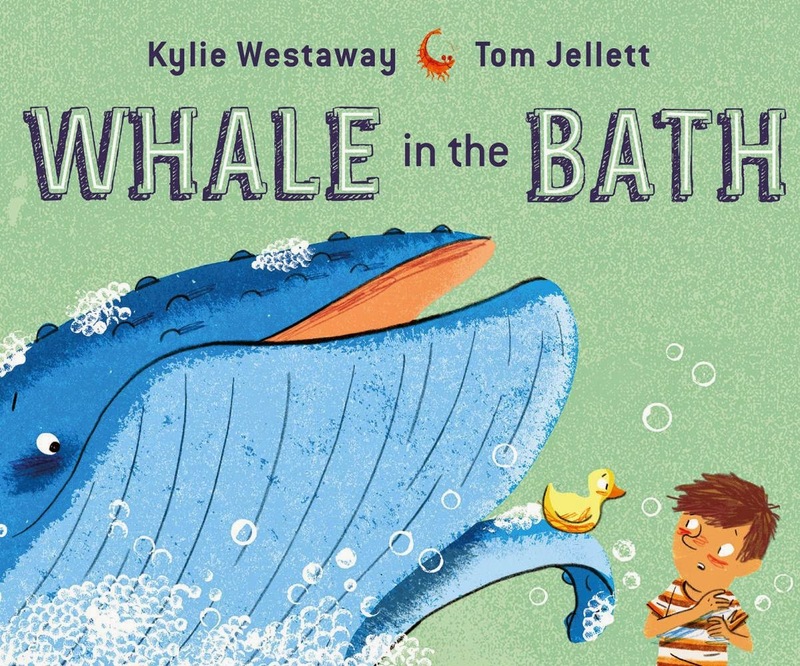 The magical absurdity of a whale in a teensy tub is just giggly in the extreme, and Tom Jellett's glorious illustrations, with their cool retro vibe and immensely pleasing colour palette, bring even more frivolity to the old 'kids have a whale of an imagination' storyline we love so much. The ending of this book is particularly rewarding. A sensational offering for out-loud readings--kids of all ages will love it.